SCP-810-J in a rare moment of silence. Special Containment Procedures: SCP-810-J is to be fed and walked twice daily by a female Foundation staff member. SCP-810-J is to be under constant surveillance. All banks within a 5 km radius of Site-27 are to be monitored in the case of a containment breach. 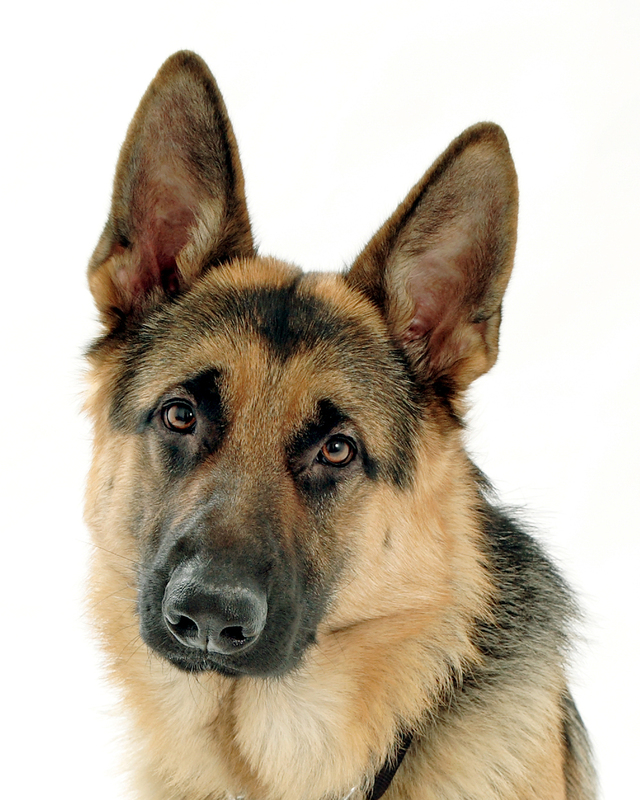 Description: SCP-810-J is a male German Shepherd capable of American-English speech. Any male-identifying person will perceive all statements made by SCP-810-J as true, and will not perceive SCP-810-J's behavior as unusual in any way. SCP-810-J will not engage in conversation on any subject other than whether or not the other participant is willing to lend SCP-810-J five thousand dollars. SCP-810-J will regurgitate a small porcelain figurine of a stylized toadstool, designated SCP-810-J-1 and offer it as collateral for the exchange if the approached individual appears uninterested. If the individual questions SCP-810-J's ability to repay the debt, SCP-810-J will claim that its father, Mick Jagger, will be perfectly willing to cosign. Though males may believe these statements due to SCP-810-J's anomalous properties, SCP-810-J does not seem to increase an affected individual's willingness to lend it money. Affected individuals will, however, attempt to convince others to help SCP-810-J, often being the primary subject of conversation for up to three hours after exposure. Dr. Whack: Hello, SCP-810-J. How are you today? SCP-810-J: I'm just fine, except that there's a small matter I think you can help me with. SCP-810-J: Five thousand dollars. That's all I need from you. Look, my dad - Mick, you know Mick, right? Gimme Shelter? Paint it Black? Call him up right now, he'll tell you. I need the money, bad. Throw me a bone here. Dr. Whack: SCP-810-J, we've contacted Mr. Jagger and he claims to have no relation to you. As was expected. SCP-810-J: See this? You get to keep this, 'till I get you the dough back. Dr. Whack: This is going nowhere. Someone get a cleanup crew in here. Closing Statement: The value of SCP-810-J-1 appears minimal, and it seems to serve no function other than a bargaining chip for SCP-810-J. More research is clearly required as to why SCP-810-J values it so highly, or what it believes its purpose to be.